Ex-senator Miriam Defensor Santiago died of lung cancer on Thursday morning, September 29, according to her husband Atty. Jun Santiago. The former lawmaker, who lost in the May 2016 presidential election, "died peacefully in her sleep this morning," Mr. Santiago said. 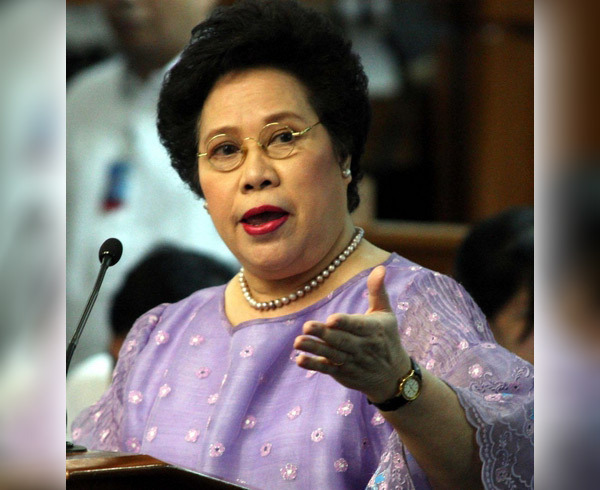 Miriam became senator in 1995 and authored the most number of laws and bills in Philippine history, a Wikipedia entry says about her. She exposed and lambasted numerous government scandals, such as the Priority Development Assistance Fund scam, which led to massive outrage and triggered major reforms throughout the whole nation. In 2012, she became the first Filipina and the first Asian from a developing country to be elected a judge of the International Criminal Court. Known as the Iron Lady of Asia, Miram was an icon of incorruptibility, honest government service, and constitutional law. She was given numerous awards and recognition for her fight against corruption in the country. In 2014, Miriam announced that she had stage 4 lung cancer.